BizzNtech | Can I use Micro SIM in a Normal Phone? Last year when Apple released iPhone 4, micro SIM gained a lot of popularity as this phone supported only micro SIM. But, almost every phone these days uses the normal SIM card. 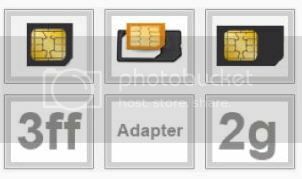 Previously, we had written a post on how you can use a normal SIM card as a micro SIM. In this article, we will explain you how you can use a micro SIM card if you have one in any other phone. 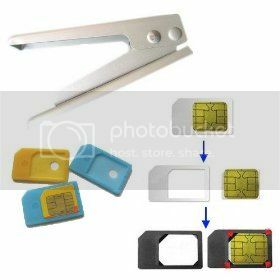 If you already have a SIM card that you cut into a micro SIM then you might be wondering how you can use it on any other phone. Well, there is a simple solution. Just like the popularity of cutters for cutting SIM cards, adapters for micro SIM cards are widely available in the market. These adapters allow you to place the micro SIM card in them and insert in any phone. This simply means that if you cut a SIM into a Micro SIM you can still use it in other phones. Some of the SIM cutters on Amazon and eBay are sold along with adapters (like the one above) so that you can use them in any other phone apart from the iPhone 4. You can grab one of these cutter along with adapters for around 5 pounds.